This is a post by Angela Davis. Angela is hosting a FREE one-hour webinar, 4 Keys to Saving Money at the Grocery Store this Thursday at 8:00 pm Pacific. We all spend quite a bit of time and money at grocery stores each week. But we don’t need to be wasting money there! 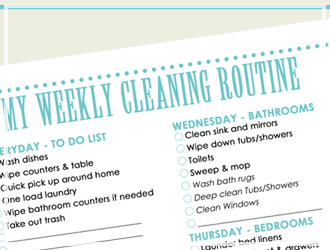 Follow my tips and your pocketbook will be full along with your cupboards! 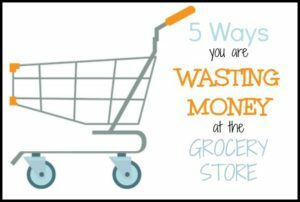 5 Ways You are Wasting Money at the Grocery Store. You can always tell the big moneymakers at the grocery store. It’s all the stuff prominently displayed and conveniently located. Guess what is front and center in the produce section? The pre-cut, conveniently wrapped in serving-sized portions packages of fruits and vegetables. Typically you’re going to pay twice as much per pound for the convenience if not rinsing and cutting your own carrots. 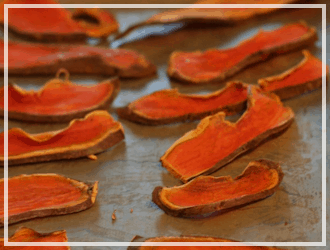 Skip the plastic packaging and do it yourself. Not only will you save big money, but you’re going to get fresher food. 2. Bypassing the clearance section. Stores start cutting prices on fresh produce, meat, and dairy as the pull-date approaches. You can get 30-75% off “real” food if you make a habit of swinging by the clearance section every time you shop. Just make sure you have a plan what you’re going to do with the food when you get home — either incorporate it into your meal plan in the next 1-2 days or get it into the freezer within 24 hours. I joined Weight Watchers after two of my babies to get a jump start on my weight loss and loved buying those low-calorie single-serve frozen entrees. It made staying on track so easy, but my wallet didn’t enjoy it one bit. Finally I realized that there was nothing special about the entrees — they were regular, sensible meals portioned correctly. Instead of paying $1.50-$3+ on a single serve frozen entree, I started making a larger quantity of a sensible recipe at home, then dividing it into single portions myself. I even froze the portions in lidded plastic containers for times when I needed a quick meal. 4. Shopping without a plan. Nothing wastes money like going into the grocery store without a list and while you’re hungry. Make sure you’re belly is full so you’re not tempted to purchase snacks and only buy what’s on the list you wrote out at home. Generally, it’s not the regular purchases that blow our grocery budget but the fancy cheese and bag of chips bought impulsively. 5. Buying only what you need right now. This one might surprise you. Yes, only buy what’s on your list, but make sure your list includes items that will go into your pantry for the future. Look for the store’s “loss-leader” deals (the sale items that the store loses money on in the hopes that you’ll buy the rest of your list while you’re in the store) and buy more than you immediately need. Does you family regularly eat pasta? When the store has pasta on sale for 79¢ or less a box, stock-up! Buy 1-2 months worth at that price. Now you don’t have to buy pasta at full price for awhile, freeing up some money in your budget. Do you want to learn even more about saving money? Make sure you join us on Thursday evening for a FREE one-hour webinar — 4 Keys to Saving Money at the Grocery Store. I’ll be chatting about more ways to save big money on your food, toiletries, and household items. You can sign-up for the webinar here!